Give your child a head start on sweet dreams with the Moonlight Mattress. From bedtime stories to sweet dreams, cuddling up with comfort is naturally healthy. 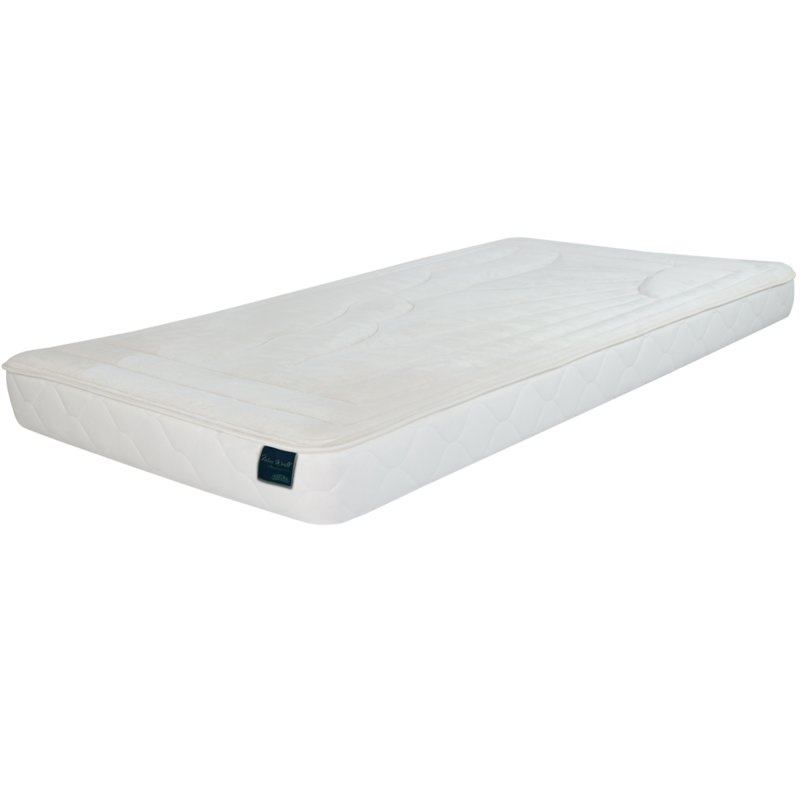 Tuck your child into a healthy haven with the Moonlight Mattress for kids. This plush, soy-based foam mattress supports and nurtures your child so recharging after a busy day at play is as simple as falling asleep. Cozy NaturaWool™ repels common allergens and bacteria that thrive in most sleep environments, so your child can breathe easier without nighttime sniffles. Care: Cover: Do not wash. Do not dry. May be dry cleaned, short cycle limited moisture. Non removable cover.